As of last night my dishes have dwindled faster than my silverware has. 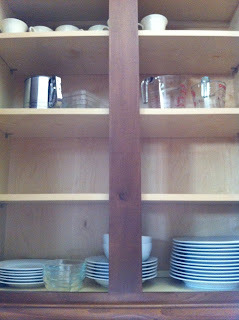 Awhile back I mentioned how I only have 6 regular size spoons left out of twelve. Seeing that my silverware is going on 14 years I guess that really isn't too bad. 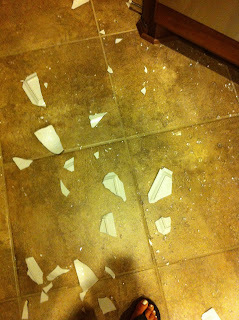 But my dishes are probably around two years old. Notice anything different, out of place, missing perhaps??? 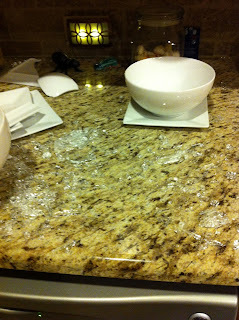 The pictures don't do the mess I had on my hands justice. 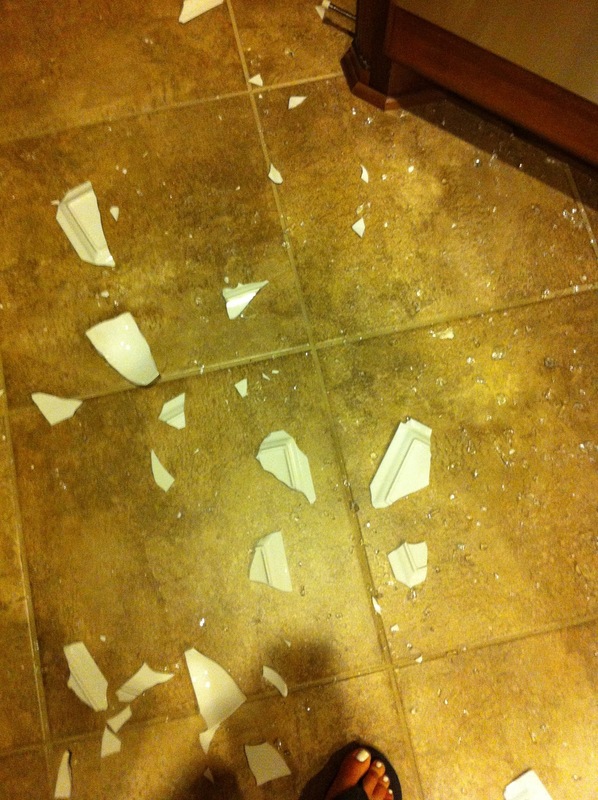 Around 9:00 last night-yes 9pm I was dealing with this -I reached up to get a bowl down for Jack and within two seconds I had lost 4 cereal bowls, 9 appetizer- dessert plates (my favorite from C&B) and 9 glass prep bowls. 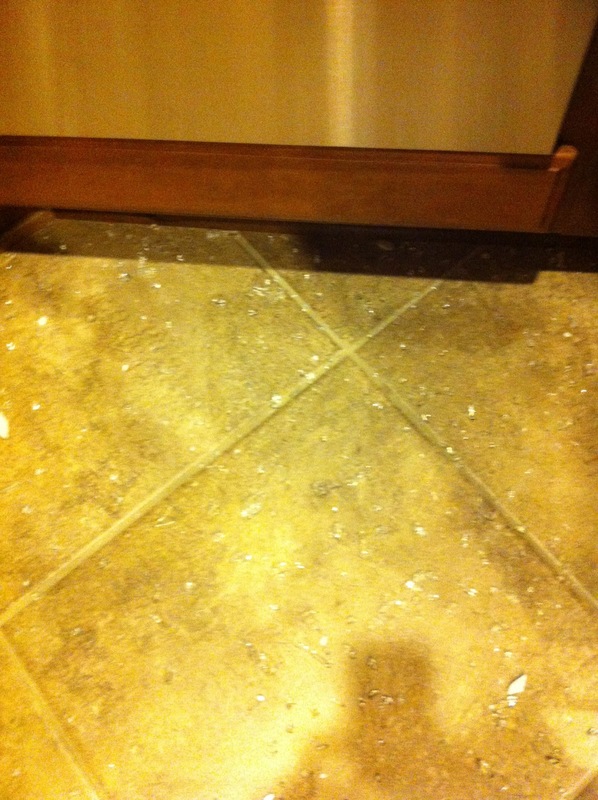 The shelf came crashing down and I was standing in a sea of broken glass not to mention that Ryan & Jack were too. 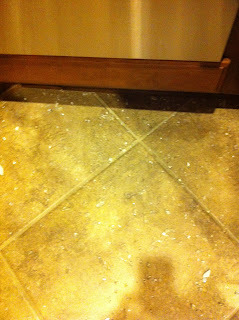 There was glass EVERYWHERE even on the living room rug which is about 20 feet from my cabinet. 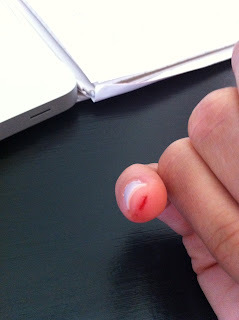 I'm sure I will be finding shards of glass for weeks to come. Not funny, but I did get a chuckle about having wine in the frig! Thinking about you!